1. 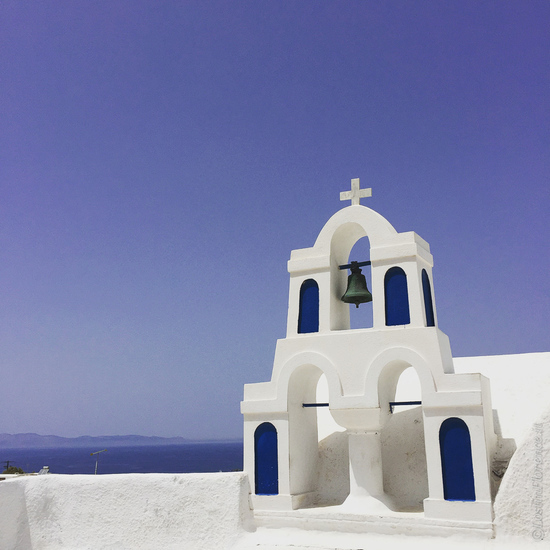 Head north of the island to Oia to snap ‘that’ picture of the island – you know the image of Santorini, the white washed houses atop the cliffs overlooking the sea. 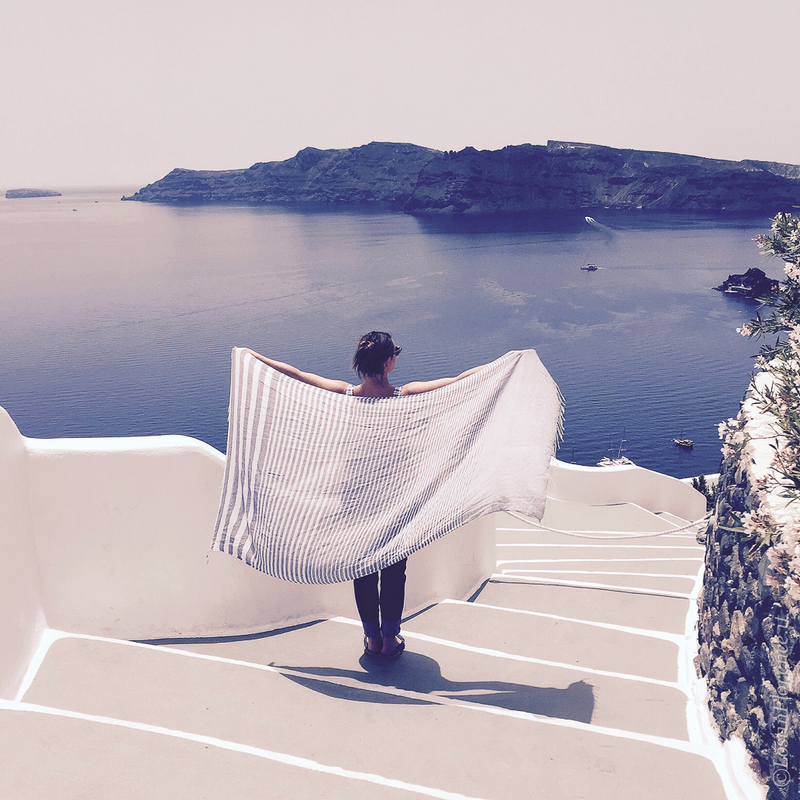 Oia is a picturesque collective of houses perches precariously from a great height, many of these now transformed into boutique hotels with infinity pools. The main street, Epar.Od.Firon-las, hosts a number of contemporary art galleries and chic boutiques plus is the best vantage point to find the ideal setting for that picture perfect snap. 3. Take in the laid back beach vibes at Perissa – Karmari Beach is a popular destination for sun worshippers who spend the day on the free sun loungers offered by local restaurants for a beach day out, Santorini-style. 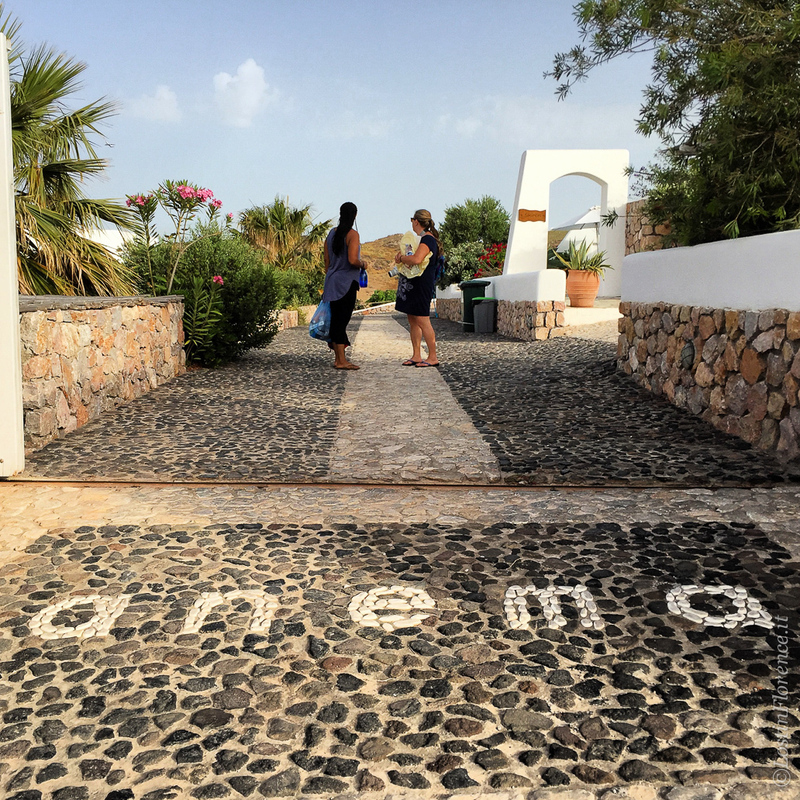 If you can, find your way to Perissa, a much quieter and laid back breach enclave with a string of beach bars and less touristic shopping including hand made leather sandals at Transit (more below) and beach perfect maxi dresses at Santo Style. For lunch or an aperitivo, take a seat at Demilmar at the end of the strip for funky music vibes and fresh food whilst gazing out to the boats bobbling in the beach bay. 4. Daily yoga with Sole Yoga Holidays – what a better way to start your day than with a morning yoga class with Shari of Sole Yoga Holidays. 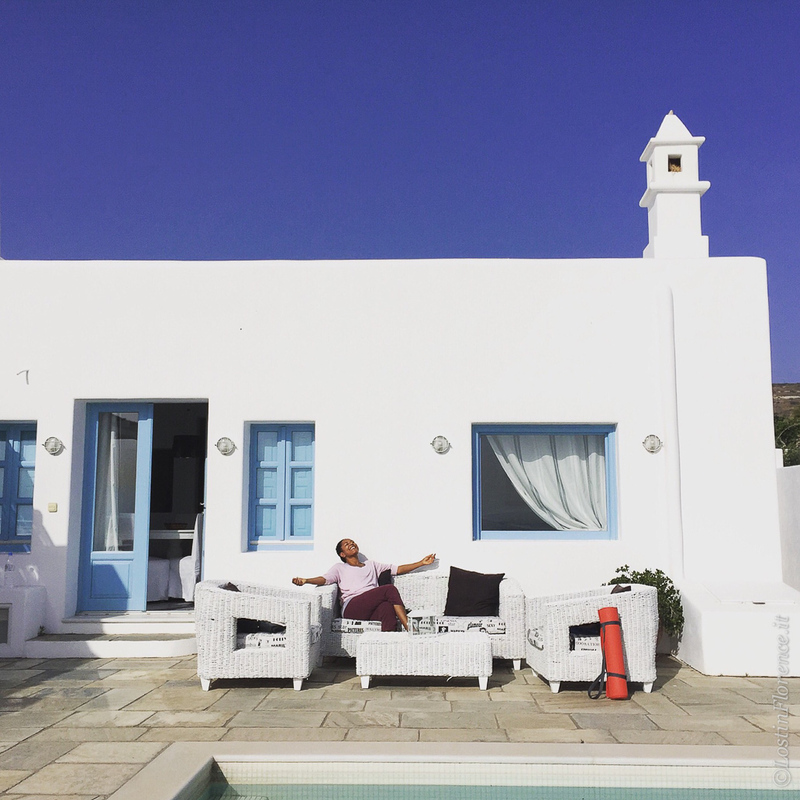 Shari runs weeklong retreats staying at very chic and remote villas overlooking the Aegean Sea. Not just a holistic retreat, there is also day trips, boats ride, fine food and lots of wine. The perfect Santorini escape? Ideal for both solo travellers and groups of friends keen to see the island with the perfect guide to show you the true side of this idyllic island. 5. Wine tasting with a view at Santo Wines – Greek wine doesn’t have the strongest reputation when pitted against Italy or France. 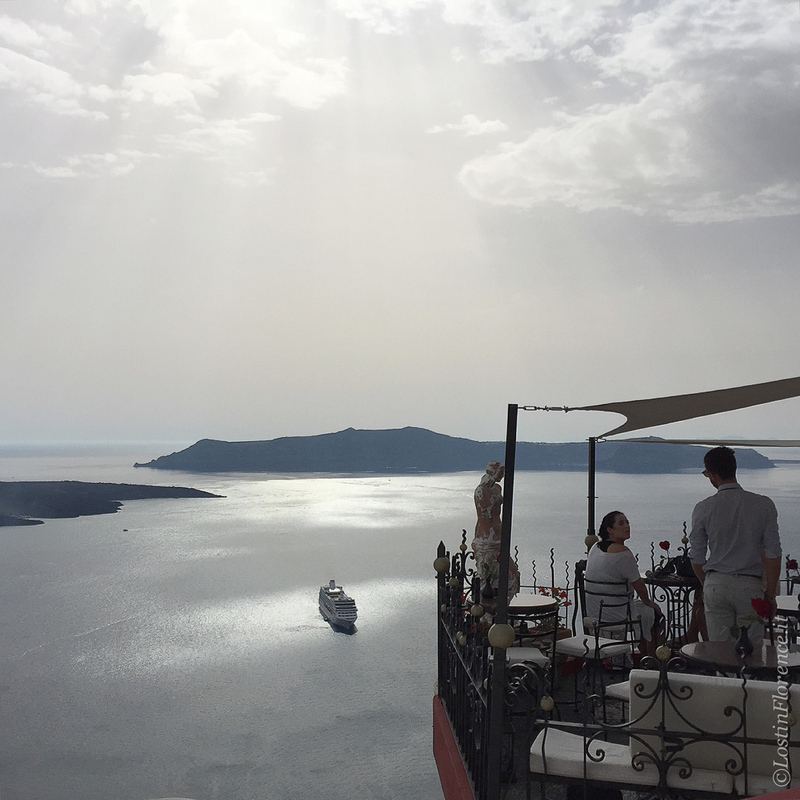 Yet Santorini grows its own robust reds and whites with a tangy mineral taste that comes from its volcanic soil. Santo Wines is a cliff top bar and wine shop, serving wines by the glass or try one of their flights – for 19 euros they offer six, 60-ml samples plus food, best enjoyed at sunset on their open deck for the most picturesque views. 7. 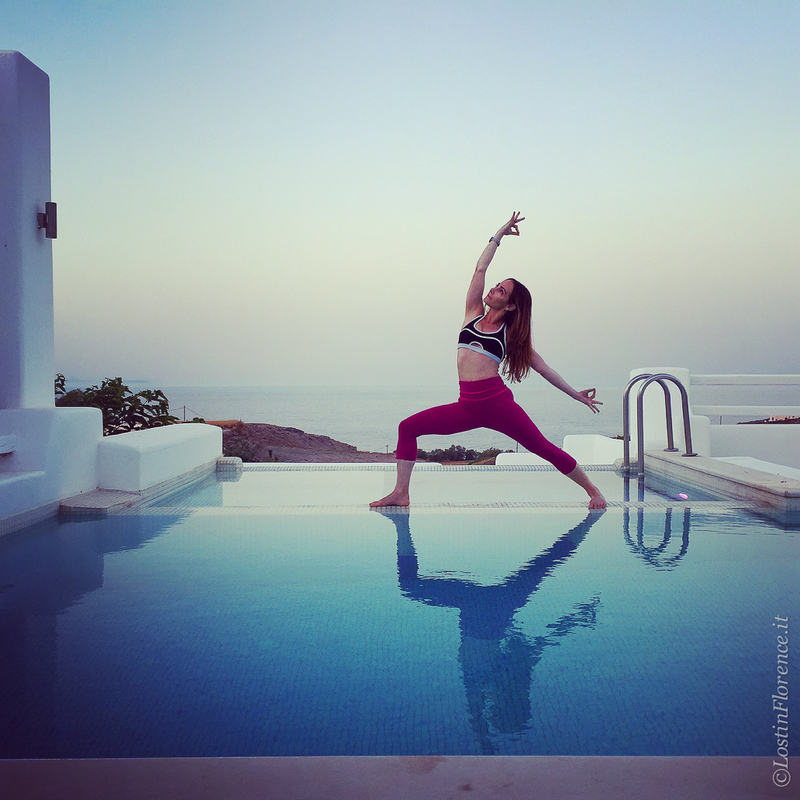 Seeing the island from a private catamaran - part of Sole Yoga’s week getaway to Santorini includes a day out on a private catamaran with your friendly skipper and personal chef. Leaving the island from a quaint port bay, you spend the day soaking up the sun stretched out on the catamaran's soft netting, hammock-style lounging areas whilst being served glasses of local wine. The vessel stops at secluded coves where it’s anchored so you can dive into the turquoise waters, and then, come lunchtime, an array of fresh salads, local dishes like dolmades (rice with vine leaves) and a fresh BBQ is cooked, then served to you from the boats chic dining deck. 8. 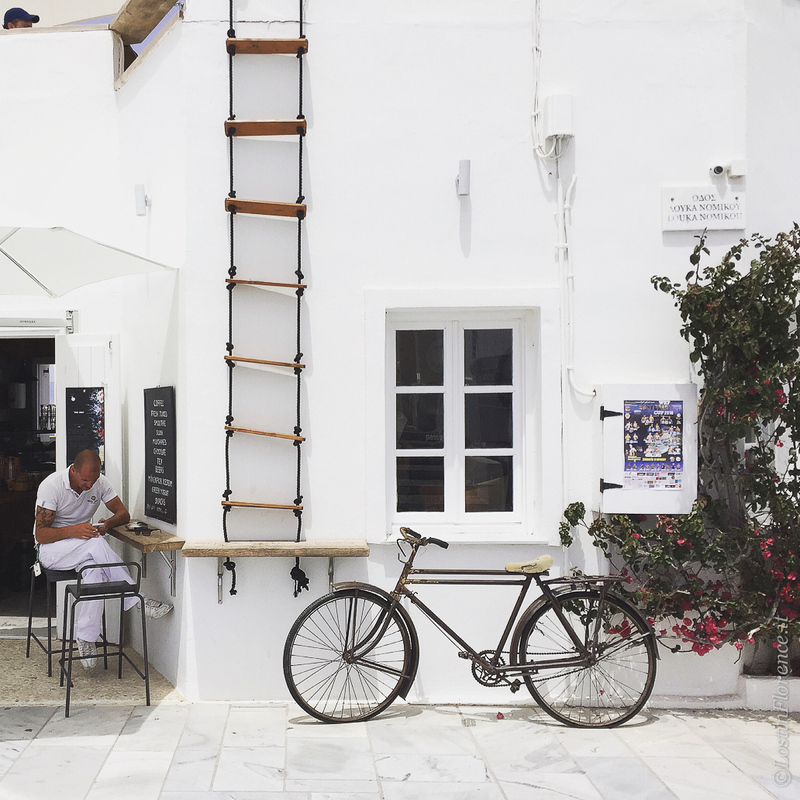 Finding fine jewellery in Fira – this popular town is filled with pretty cobbled lanes which house a maze like pedestrian shopping zone that is fun to explore. Mati Art Gallery­ is run by visual artist Yorgos Kypris displaying his work inspired by the Aegean Sea with fish, boats, and seabirds his inspiration. Apart from larger art pieces, Kypris makes delicate jewellery with a contemporary, sea inspired flair. At Koukla you will find jewellery by a selection of independent designers on sale from delicate flower bracelets to rings inspired by Santorini that have been embossed with Greek text. 9. Buy an 'all-seeing' eye – in ancient Greek mythology, the all-seeing eye represented an eye of the creator, never closing therefore watching over and protecting the good. You will find these in many of the souvenir stores selling trinkets all over the island with the best collection along Epar.Od.Firon-las, the main street in Oia. From bracelets, to earring or bracelets, you can find your 'eye' to protect you and possibly bring you back one day to Santorini and all her treasures. Vueling offer direct flights from Florence to Santorini from 170 euros return.